Are you experiencing a lot of discomfort while chewing food? Does any exposure to hot or cold temperatures make you cringe? These are common symptoms of a cracked tooth, which can worsen over time the longer it’s left untreated. For instance, the pieces of the tooth may move dangerously during chewing and irritate the pulp, leading to an infection that spreads to the bone and gum. At Afton Endodontics, Dr. Gell and Dr. Watts can provide invaluable assistance with this type of emergency situation. 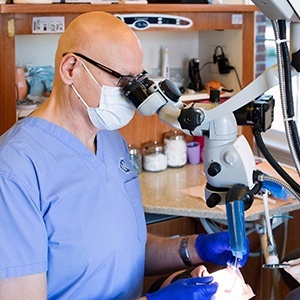 They have extensive experience with a wide variety of dental cracks, several of which can directly benefit from specialty endodontic treatment. If you believe that you’re in need of help, contact our Concord, NC practice today. Craze lines are relatively minor dental injuries that only affect the tooth’s tough outer enamel surface. These cracks are likely to occur in adult teeth over time, and they are 100% superficial – there is no immediate danger to the tooth’s health or longevity. 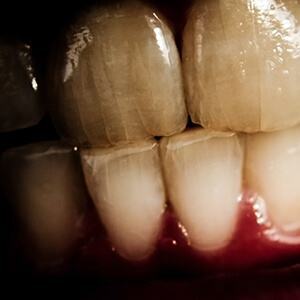 Please consult a cosmetic dentist if you are interested in correcting the appearance of these cracks. When the cusp (elevated or pointed feature) of a tooth becomes weakened over time, fracturing may be the inevitable result. However, this type of crack rarely damages the tooth’s inner pulp, so patients often will not require endodontic treatment. Your best course of action is to speak to your general dentist about having the structure restored with a dental crown, inlay, or onlay. When a tooth is cracked and then left untreated for a significant period of time, the injury may evolve into a split tooth. 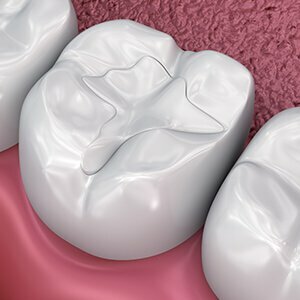 This means that the tooth has separated into distinct segments. With this type of injury, it will be impossible to save the entire natural structure. However, the position of the split and its severity will influence whether a portion can still be successfully preserved. Our team will comprehensively assess the crack with the help of digital X-ray technology and recommend endodontic treatment if this is the case. 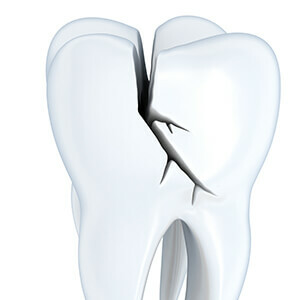 This type of dental crack will extend beyond the outer chewing surfaces of the tooth and down towards the root. In some cases, it may even transcend the patient’s gum line. As a result, pulp damage is likely. Dr. Gell and Dr. Watts will strongly recommend root canal therapy to address any burgeoning infection. Early intervention is crucial to prevent worsening damage and the loss of the tooth! A vertical root fracture will get its start at the root of the tooth instead of the crown and extend upwards toward the chewing surfaces. This type of crack is very tricky because it is likely to only exhibit very subtle symptoms that go unnoticed by untrained eyes. 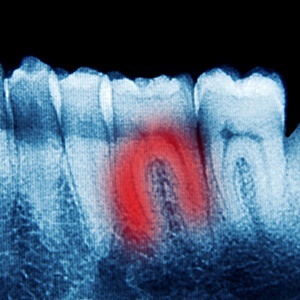 When this type of injury is discovered, endodontic surgery is the best way to preserve as much of the tooth as possible. The fractured root will be removed during the procedure. If this isn’t possible, tooth extraction becomes a certainty. Rest assured that Dr. Gell and Dr. Watts will always exhaust all other available options before reaching this stage.